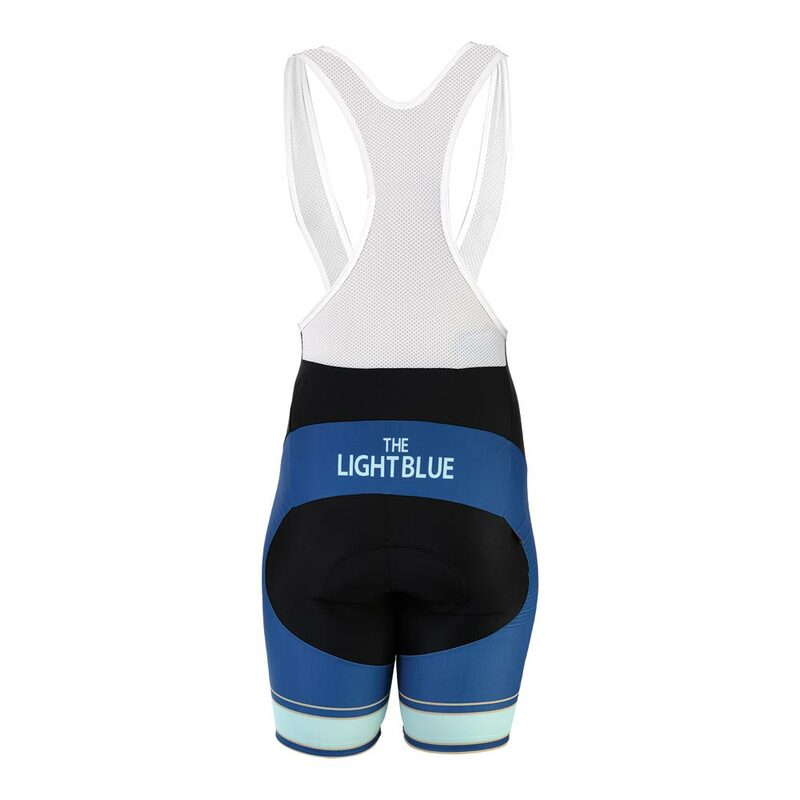 The Light Blue gents' bib shorts feature a quality compression Lycra & deluxe stitching. An Italian gender specific ergonomically preshaped & seamless TMF chamois features multi layered triple density (3d) foam padding with an Eschler antibacterial microfibre surface. This chamois is designed long distance all day road and MTB riding. The leg hem is finished with a silicone leg gripper to keep the shorts in position. 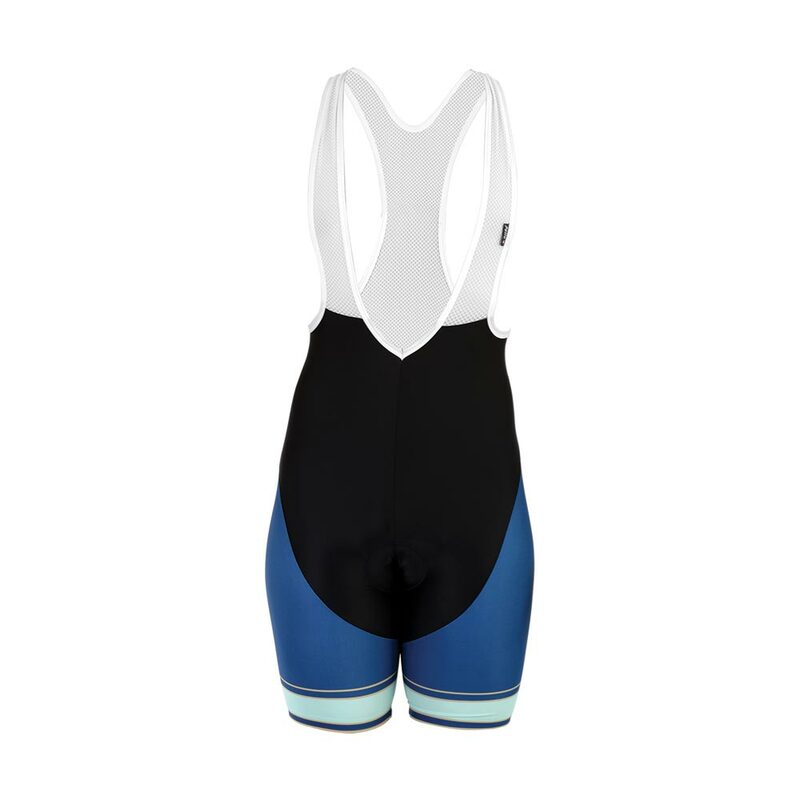 The bib is a breathable mesh fabric with Lycra binding.